The Best New Orleans Blogs from thousands of New Orleans blogs in our index using search and social metrics. We’ve carefully selected these websites because they are actively working to educate, inspire, and empower their readers with frequent updates and high-quality information. New Orleans newsletter is a comprehensive summary of the day's most important blog posts and news articles from the best New Orleans websites on the web, and delivered to your email inbox each morning. To subscribe, simply provide us with your email address. New Orleans, Louisiana About Blog At GoNOLA.com you will find the best places to eat, drink, shop and play in New Orleans! From world-famous restaurants to hidden music clubs, New Orleans has something to discover at every turn. It is the ultimate guide to New Orleans food, music, culture and fun. Facebook fans 568,211. Twitter followers 51,576. New Orleans, Louisiana About Blog The Eater New Orleans provides food news and dining guides for New Orleans. Facebook fans 26,641. Twitter followers 19,217. New Orleans About Blog New Orleans Living Magazine is a monthly lifestyle magazine that features articles on the best our city has to offer. Get the latest on health news, business, local hot spots, fashion and so much more. Facebook fans 14,380. Twitter followers 2,133. City Park, New Orleans, La. About Blog New Orleans Museum of Art (NOMA), New Orleans’ oldest fine arts institution and hosts an impressive permanent collection of almost 40,000 objects. Facebook fans 28,744. Twitter followers 37,587. New Orleans, LA About Blog Every aspect of living in New Orleans, for people who care about their city, their streets, and their homes. Facebook fans 6,705. Twitter followers 3,669. New Orleans, Louisiana About Blog At New Orleans Moms Blog we are passionate about parenting, community and the city of New Orleans. We strive to provide moms with relevant, timely and fun information about all things mom here in the greater New Orleans area. Facebook fans 44,968. Twitter followers 7,605. New Orlens About Blog Your best source for quality New Orleans Saints news, rumors, analysis, stats and scores from the fan perspective. Facebook fans 20,203. Twitter followers 9,807. Facebook fans 1,207,401. Twitter followers 573,112. About Blog The Best Restaurants In New Orleans. We cover almost every imaginable topic, from directories of every known New Orleans restaurant down to top-twelve lists of very particular questions. Almost all are ranked and rated. We have, in season, even more lists for all the major food festivals and food-related holidays. New Orleans About Blog Your Resource for Wedding Planning in New Orleans. New Orleans Weddings Magazine is the best resource for local and destination couples. Print, blog and totally amazing bridal shows! Facebook fans 9,452. Twitter followers 2,758. New Orleans About Blog Your best source for quality New Orleans Pelicans news, rumors, analysis, stats and scores from the fan perspective. We provide analysis, news, rumors and anything else that relates to your Pels! Facebook fans 5,124. Twitter followers 9,086. New Orleans About Blog I've covered music, art, books and food in New Orleans since 1990. My work has appeared in The Times-Picayune, Gambit and most recently OffBeat, and I've freelanced for Spin, Rolling Stone, Essence, numerous alt-weeklies, Los Angeles Times, San Diego Union-Tribune, No Depression, Honest Tune and other places I can't remember now. Facebook fans 2,012. Twitter followers 3,636. New Orleans, LA About Blog NOLA & Northshore families’ print/online source for info, deals, and events. Our print digital mobile mediums are the go-to monthly resource for local moms! Facebook fans 8,915. Twitter followers 909. New Orleans, LA About Blog The Roman Catholic Archdiocese of New Orleans is dedicated to promoting the Kingdom of God in the Metro New Orleans area. The ministries of the Archdiocese of New Orleans, in union with the Archbishop and with one another, serve the people of the parishes, schools and organizations of the archdiocese in enabling them to encounter Jesus and to witness with joy. Facebook fans 6,226. Twitter followers 9,903. New Orleans, LA About Blog The Historic New Orleans Collection is a museum, research center, & publisher preserving the history & culture of NOLA & the Gulf South. Facebook fans 29,260. Twitter followers 1,001. New Orleans, Louisiana About Blog On a New Orleans Kayak Swamp Tours you will create memories exploring the beauty of the swamps and plantations. Small groups led by amazing local eco-guides. Facebook fans 5,454. Twitter followers 1,018. New Orleans, LA About Blog Bienville House is a French Quarter hotel in New Orleans near Jackson Square, the New Orleans Convention Center, and the best New Orleans restaurants. Facebook fans 57,948. Twitter followers 1,459. New Orleans, LA About Blog I love all things authentic New Orleans culture, especially the food and people. My favorite destination outside of New Orleans would be anywhere the ocean and sand is. Writing is my passion, it frees me from all of all that comes with living in this fabulous world of ours. New Orleans, LA About Blog For a city under threat by water, for a city that stays up all night, to a world in need of different perspectives. With insight and introspection, we strive to deliver thorough and thoughtful coverage of anything and everything NOLA. Facebook fans 4,896. Twitter followers 918. New Orleans, LA About Blog The Best Written Blog in New Orleans is an ongoing introduction to the most interesting city in America. There is more to the French Quarter than what you read in guidebooks or online. Discover New Orleans like a New Orleanian and get an insider's view of what makes this magical city so special. Facebook fans 925. Twitter followers 126. New Orleans, LA About Blog Be New Orleans is a neighborhood guide and real estate resource. New Orleans neighborhoods are unique. Be New Orleans can help find your New Orleans home. Jean Lafitte, LA About Blog New Orleans Airboat Rides and Swamp Tours Provided by Airboat Adventures. Our tours are just minutes away from downtown New Orleans, LA. Airboat Adventures offers visitors a break from bawdy Bourbon Street and an exciting alternative to commercial swamp tours. Facebook fans 8,013. Twitter followers 17. Facebook fans 2,558. Twitter followers 886. San Francisco, CA About Blog Get all the latest updates and news of New Orleans Saints. New Orleans About Blog Babes & Beignets is the collaboration of two women who share a passion for the city of New Orleans and connecting with others who enjoy livin’ la vida nola through social networking and shared experiences. Babes & Beignets are experts in food and drinks in New Orleans including the newest restaurants and bars, the best happy hours, local shopping, NOLA festivals, the hottest events and weekend travel. Facebook fans 1,512. Twitter followers 870. New Orleans About Blog Find real estate in Greater New Orleans. Use Crescent City Living LLC search engine to find Greater New Orleans real estate by price, bedrooms and more. We have every listing from every real estate company in the Greater New Orleans area. Facebook fans 2,634. Twitter followers n/a. New Orleans About Blog I always wanted to share my passion of fishing and the love of the outdoors with others and teach them what I have learned throughout the many years I have spent along the bayou. It’s such a great feeling to see someone hook one of those nice reds and land them in the boat for their first time. These redfish down here seem to really put up a fight! 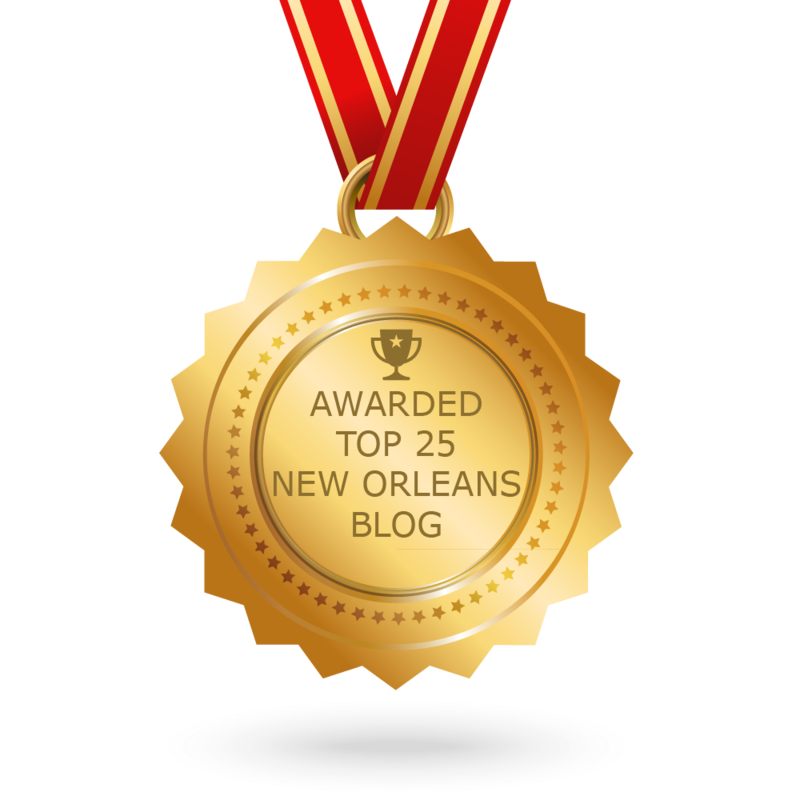 CONGRATULATIONS to every blogger that has made this Top New Orleans Blogs list! This is the most comprehensive list of best New Orleans blogs on the internet and I’m honoured to have you as part of this! I personally give you a high-five and want to thank you for your contribution to this world.